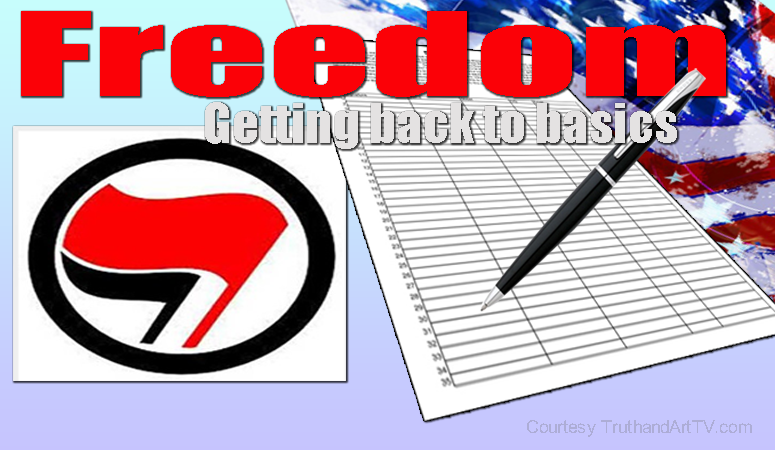 A White House petition started on August 17, 2017 asking the Trump administration to recognize the radical Left wing group 'Antifa' as a terrorist group has exploded with signatures in just a few days obtaining the required 100,000 signatures with ease and is now at over 221,000+ votes at the time of this posting. This is an example of Americans speaking out against the deep state's mainstream media and Hollywood propaganda that would have you accept Antifa as a genuine group concerned about "fascism" and they would have you focus only on KKK and White Supremacist groups as being the problem especially with regard to the recent politically charged event in Charlottesville Virginia. This rapid response by America to the mainstream media and Hollywood's deception and lies is a reminder that many people have tuned out their rhetoric and refuse to be propagandized like dumbed-down sheep. They refuse to be told what to think by Hollywood celebrities as if somehow they know what's best for us just because they are famous. Antifa, who I recently exposed in an article is getting a full pass by the mainstream media and Hollywood and hopefully this will make people think. As I recently discussed, anyone interested in the truth can look up the truth about Antifa and realize that their roots trace back to the days of dictator Joseph Stalin. They are a Communist militant violent-based group born in Germany in the early 1920's under the banner of "anti-fascism". This was propaganda then as it is now. The group has never had a problem with dictators and authoritarian governments that are Communist in nature. They have always operated "by any means necessary" and democracy, freedom and free speech has never been part of their core values or mantra. The first and most concerning sub group of Antifa are the red members. These Antifa members are the ones that commit various illegal acts of vandalism such as smashing the windows of a Starbucks in DC and use violence and fear as their main tool. These are the zealots of Antifa. They are willing to harm others and go to jail for their far left ideology. The mainstream media, Hollywood and the Liberal Left globalists are now slowly introducing Antifa to the American public, hoping to condition Americans into accepting that it's somehow okay and normal for a radical group to terrorize people at the street level because of their difference in opinion and values. They are hoping that Americans will buy into the lies that Trump supporters and Conservative Americans are "alt-Right" and that "alt-Right" is equal to "fascism". And furthermore that since "Trump supporters equals fascism" somehow, then Antifa's purpose must be somewhat noble. Nothing could be further from the truth because the very thing that makes Antifa dangerous and equal to a terrorist group is their opposition to free speech and the 1st amendment right of every single American. No one voted Antifa into the White House and they do not have the moral high ground to determine for all of us what values and beliefs we should hold and honor and which ones not to hold. They are now attacking our culture and history. They are subverting the rule and law and they are quietly disrespecting and disregarding the US Constitution all under the banner of "anti-fascism" and in doing this they are playing right out of a 1920's Communist playbook. Maybe this is the reason so many Americans so quickly jumped on this petition. It appears enough people are paying attention to what is really happening. Are you?